We warmly welcome Ms. Hagenhoff to our team. 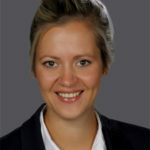 Ms. Hagenhoff has joined SEDLÁK & PARTNER as Consulting Assistant on October, 11th. As such she will accompany our consultants in projects on site and professionally support project preparation and follow-up. Ms. Hagenhoff completed her bachelor studies in the subject of Educational Science at the University Trier. Her thesis dealt with the topic “Shortage of skilled workers in Germany”. Afterwards, she completed her master studies in the same field at the University Koblenz-Landau. With a major in Research and Development in Organizations, Ms. Hagenhoff was able to expand her practical experience for organizational development. She is now looking forward to enriching SEDLÁK & PARTNER with her theoretical and practical knowledge and experience. We are pleased to have Ms. Hagenhoff working with us and wish her all the best for her future career at SEDLÁK & PARTNER.